Does the Qur’an say that the Bible has been changed? Jesus-Islam » The Koran » Does the Qur’an say that the Bible has been changed? When did the question first arise? Did you know that no one attacked or questioned the authenticity of the Bible until 1046 AD. That is more than 400 years after the death of Mohammed. This could not be more significant. Why? It means that Mohammed believed that the existing Bible in his time was authentic. see Sura 5:49 and Surah 21:7. The first Islamic scholars, therefore, and many of those who followed them refused to believe that the Torah, the Injil and Zabur had been modified. According to several experts, the Koran claims that the Holy Scriptures were poorly preserved, but not altered. Imam Baydaoui, commenting on Sura 2:75, says, “… perverted means that they misunderstood it and explained it as they wished.” It does not mean that they altered the original wording. In his commentary, Imam Bukhari explains Surat 4:46 as follows: “… to move words from their normal place … means to interpret evil”. ويقول صحيح البخاري “يحرفون الكلم عن موضعه أي يزيلونه وليس أحد يزيل لفظ كتاب من كتب الله تعالى, ولكنهم يؤولونه على غير تأويله”. You can read similar remarks made by Imam Razi. In the time of Mohammed, some so-called Christians had stopped reading the Bible. Instead of the Word of God, they followed the traditions created by men. It is true that they had misinterpreted the Bible, but the Holy Scriptures had not been altered, they had been forgotten. However, throughout history, true Christians have loved, protected and practised the Word of God. 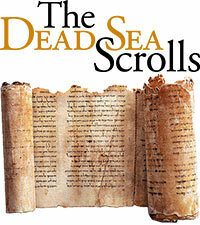 Documents like the Dead Sea Scrolls prove that our present translations are truly based on accurate copies of original documents. Let us never forget that in the days of Mohammed there was never a question that any of the books of the Old or New Testament had been tampered with. This means that either Mohammed was totally unaware of it, or, as Christians have always asserted, the documents we translate from are accurate and unadulterated copies of the originals.